Earn $2.87 in VIP credit (287 points)What's This? The Feedback Cassette Pliers are self-adjusting to provide a secure grip on all cassettes for hassle-free removal when used in conjunction with the proper lockring tool. 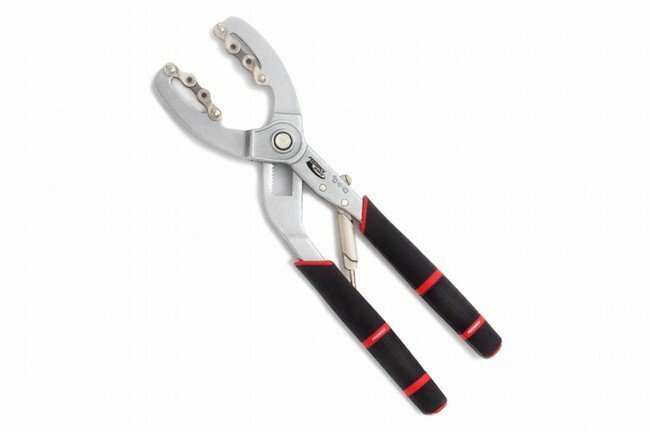 Made from forged steel with a limited lifetime warranty, the Feedback Cassette Pliers provide long term dependability, and the file tread grip makes them comfortable to hold in the hand. Compatible with cassettes from 1 to 12 speeds.